Car Leasing and Insurance | Leasecar.uk Your home for personal and business car leasing. You will only find insured lease deals by contacting us or looking at this page. All other car leasing deals on our website are not insured leases. Total care provides you with an insured and maintained leased vehicle. It offers a complete and cost effective approach to vehicle leasing. By insuring your vehicle as part of the lease, you pay a fixed rental for the contract term (which can be anything from two to four years) safe in the knowledge that your premium won’t increase. The provision of Total Care is subject to terms and conditions available on request at an additional cost. Have had not more than 2 accidents/ claims made by or against them within the previous 24 months (excluding those recovered from a third party). Cover will start on the day of delivery, you can rest assured that this will continue right through to when the vehicle is collected. When driving any car on the UK roads, it is a legal requirement that you have car insurance. Be it to protect yourself or to protect others should an accident happen, even third party car insurance is a must and driving without it can lead to heavy fines and possibly even prison. Here at LeaseCar we want to make car leasing and ownership as easy as possible, so we've put together this guide to help you better understand how insurance works, and what's the best policy for you. If you have any further questions after reading about car leasing or car insurance, please don't hesitate to contact us online or call us on 0344 745 1818. There are many different types of policy available when looking for insurance, and each policy offers different levels and types of cover. It's important, before comparing any car insurance quotes, that you know just what sort of insurance you want. Pending your lease car deal, be it a contract hire, or purchase hire, it may affect the insurance that you are eligible for. If it is a personal contract hire, for instance, you will need fully comprehensive insurance. We'll explain this later on, but it's essentially because the car you are using doesn't belong to you, and so you need to insure yourself to drive vehicles that don't belong to you. Another thing to bear in mind with car lease insurance is that sometimes lease companies will require an extra gap insurance. This is because one of the reasons we can offer such great savings on brand new car use is because we own the vehicle's ourselves and let you purchase or use them over monthly payments. There is a risk that a car which the company has purchased could be damaged or destroyed in an accident, and so an extra charge to cover a company loss may be necessary. When out taking a car lease be sure to look at all the terms and conditions to find out what you'll need. If you're looking at a business hire or purchase contract you might already be covered on a company fleet insurance, or be eligible for it. Make sure you check your current status before applying for any insurance policies. Third Party insurance gives the least amount of cover legal in the UK, as the name suggests it will only cover any third parties involved in an accident with you. If an accident is your fault, your insurance will pay out the victims for any damage to their vehicles, property or for their injuries, including passengers. Usually, these can be cheaper than other forms of insurance and can be quite popular with younger drivers trying to save money. It will not pay any money towards your personal costs, however, meaning you will have to cover any damage that has occurred to your vehicle, be it theft, fire, accidental or when you were at fault. If you're driving an older car, this can be a good choice as it covers you to legally drive on the roads whilst not covering your potentially quite low costing car to replace. When looking at third-party insurance, it's important to understand what coverage you're getting. With many lease policies, this will not be an acceptable insurance policy, as you yourself are not a first person (meaning owner) of the car. As per usual, read the terms and conditions and find out beforehand. The next step in insurance cover is third party, fire and theft insurance. Say what you like about insurance companies, they know how to name a policy. What this covers is in the name, and like third party insurance it will pay out others in the case of an accident but will also cover you for other circumstances. If your car is stolen, or it suffers any fire damage (potentially flooding and natural disasters) then your insurance policy will also cover you. 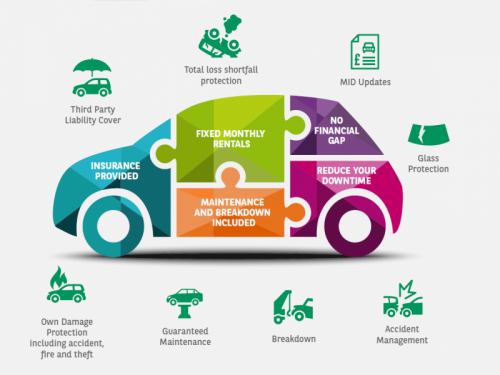 This can be particularly useful as a way of covering those unexpected things that can happen with car ownership but also costs less than fully comprehensive. As with third party, this may not be a suitable policy to get insured on depending on your type of lease contract. The main issue with both policies is that an insurance policy covers you as a named driver on a car, but generally assumes you have ownership of that car. You can often pay an extra charge on top of car insurance to give you the ability to be what is known as a policyholder under the same cover, but this is much more common with fully comprehensive. Yet again, this will not cover you for vehicle failure. It may be the case that you have roadside assistance in your lease warranty, or that you have breakdown cover, but if you don't then it'll be your responsibility to shell out the cost of repairs and replacement parts, which can cost more than the insurance. Won't cover you for repairs and replacement parts. This is the whole insurance package. It will cover you personally for any damages to your vehicle and also pay out to any victims in the case of an accident. This policy will also cover your vehicle if it is stolen and damaged as a result of this, and you can also get cover for your injuries when in a crash, helping you save money on repair costs and potential medical bills. It's important to note, however, that not all policies will cover the same thing, and not all prices will be the same. Chances are, the more expensive the policy, the more you will be covered for and the less you will potentially have to pay should you need to claim on your insurance. Whilst not the cheapest policy, it may save you hundreds if not thousands should you need it. Other features involved in fully comprehensive can include driving your car or other cars in different countries, covering you as you're able to drive vehicles that you don't own. Most leases will demand that you get this type of insurance for that reason. Other benefits could include tyre replacement and you could get cracks in windshields repaired for free without affecting your no claims or your premium. Can cover you as a policyholder and let you drive other cars fully insured. As with the others be sure to check fully comprehensive terms and conditions very carefully to make sure you know exactly what you're getting yourself in for. Here are some things to watch out for. Check the excess - this is the amount an insurance company will pay up to in a particular scenario, anything beyond that will be your own money. Restrictions - as with getting a car lease, there may be mileage limits, if you break these then you could risk driving with invalid insurance, a criminal offense. Premium - This is the cost every month or year that you will pay for coverage. This is effected by a no claims or if you have had to take an insurance payout. Check what your warranty covers - Often a warranty or maintenance package will cover you for accidental damage or repairs and replacements, meaning that you could save money on your insurance premium. Overall then, it's clear to see that there is a lot to consider when taking out an insurance policy. Of course, if you have any more questions, we're more than happy to help. Our friendly and helpful staff are only a phone call away on 0344 745 1818. Or contact us online here.